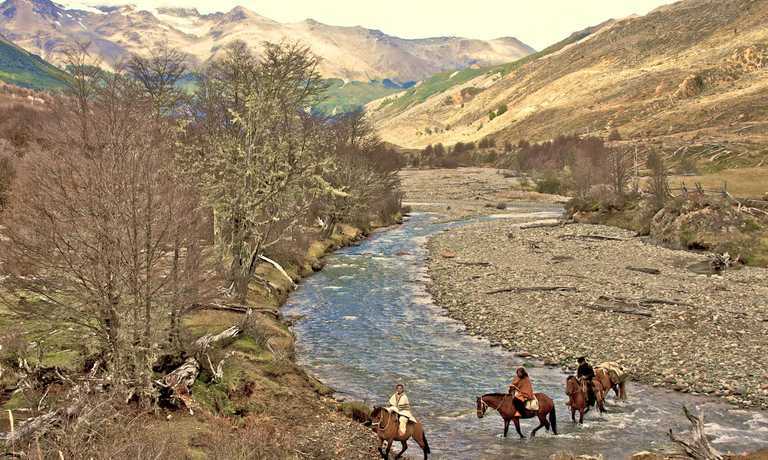 An adventure through the Patagonian wilderness, accompanied by pack horses you will ride from Cochrane to Villa O'Higgins. Discovering the wonders of the little-known Aysen Region, you'll encounter difficult terrain. Experience required, not suitable for total beginners. Our team will be ready to meet you at the airport in Balmaceda to take you south to Cochrane, our point of departure for the Pioneers Trail. Ideally your flight should be in the morning, when once landed, we can begin our 5 hour drive down the beautiful Carretera Austral and enjoy the sights down this historic road. Upon arrival to Cochrane, you'll have a good night's sleep before we head out on the trail. On your first full day in Patagonia, we'll take you by vehicle to Glacier Calluqueo, where you will meet our guides and horses. This is your first day on the trail, heading out from the glacier, which is at the base of Mount San Lorenzo, the 2nd highest mountain in Aysen. You'll ride for only a few hours to get used to your horse and saddle before reaching our destination for the night, "Puesto del Libro." Ask your guides why this camp is called the "Book's Refuge. 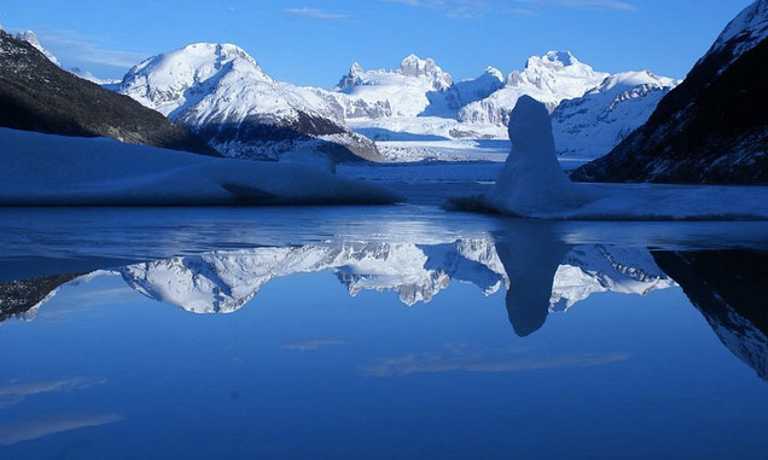 "While your horse guides are getting the pack horses ready, you have the option to take a boat ride across the lake to Glacier Calluqueo and ice trek on the glacier. This is your first test in the wilds of Patagonia. Upon leaving your night's camp, you'll come to your first pass descending to a river where the pioneer's left an ice pick. This pick is left for future trail passers to help them pick their way through the rock scree on this treacherous pass. Your guides will help you through and send the horses ahead. This is one of the most famous mountain passes in the region and a true taste of what Patagonia's wilderness has in store. Many of the camps and areas along this trail have generic names, like "the valley" because few people, other than the region's pioneers and farmers have used this trail. Therefore don't be surprised to hear you'll be arriving to the Valley Sector after the Ice Pick Pass and wonder which valley they are talking about - they know! You'll descend from the pass with glaciers in your view all day as you come down into a beautiful valley where you'll spend the night. Check out the waterfalls and tributaries flowing from the glaciers to what will become Rio Bravo, the mouth of this impressive river. This day you may have several stops as your guides help clear the trail. You'll cross valleys and small hills, with Rio Bravo always to your Northeast, or right. It's an impressive day with beautiful views but a trying day, as well. Camp for the night is at the Puesto de Las Tablas, where several huts were constructed out of trees carved out with an axe. There are corrals here for the horses and it's a historic mountain refuge. Continue your way through the mountain range in virgin beech forests with only a small trail for you and your horse. Again, expect frequent stops while your guides may need to cut down fallen trees, help you across streams or whatever may come in your path. You'll arrive to your night's camp in the mountain home of Don Eraldo Real. A true Patagonian gaucho, Don Eraldo lives in the mountains and heads down via horse to local towns only a few times a year. He lives off the land and survives on very little. It's a gift to encounter these gauchos and these mountain men and women are very much respected among the people of Aysen. On this day you'll have the opportunity to see how Don Eraldo lives in the mountains. Your horses will have a much needed break and you can soak in the mountain air. Head out fishing, help Don Eraldo prepare the night's asado, or just relax under a tree with a good book. Get ready for some amazing views as you ride above Lake Alegre. The views above this lake are magnificent, surrounded by mountains and clear crystal waters. You'll border this lake all day with a few treacherous spots along cliff sides, but rest easy; your horses are very sure-footed and accustomed to this type of terrain. Enjoy a beautiful night's camp next to Lake Alegre. Continue your path along Lake Alegre and head up the mountain as you come to Lake Crissti. You'll encounter forests, rock scree, and many other obstacles as you make your way towards the last lake before Villa O'Higgins. This night you'll spend alongside Don Jorge Pradenas in his mountain refuge, but who is known locally as the "Mountain Mouse." Ride along Lago Crissti until you reach Puente Mayer, the last bridge and road that leads to Argentina. Spend your night here along the Argentinean border and rest easy knowing you have crossed the mountains and arrived at a branch to the Carretera Austral. You've crossed the mountains and will follow a small road from the Argentinean border that will eventually connect you with the main road of the Carretera Austral and lead you to O'Higgins. The only traffic you'll find along this road is the few farmers that may have vehicles and travel from their farms to Villa O'Higgins. Spend the night on the family farm of the Arratia and enjoy your last night on horseback with a group asado. Camp alongside the river and relish in your accomplishments! Follow the final miles along the Carretera until you reach Villa O'Higgins. Ride in to town just as the first pioneers did upon arriving to colonize this final settlement in the region of Aysen. Sleep well and eat well in town! Option 1: Transfer from Villa O'Higgins to Puerto Rio Tranquilo and short boat ride to see the Marble Caves, dinner and lodging in town. Option 2: Day in Villa O'Higgins for rest and boat ride to view the famous O'Higgins Glacier, dinner and lodging in Villa O'Higgins. Cont. with Option 1: Transfer from Puerto Rio Tranquilo to Balmaceda for flight home. Cont. with Option 2: Transfer from Villa O'Higgins to Puerto Rio Tranquilo, lodging for the evening in said town, and following day transfer to the airport. This trip can run as a group trip, with prices starting from $3,475 per person for a complete group. If you are looking to join a group or you are a solo traveller we will help to form likeminded groups of travellers. Please let us know your travel plans.